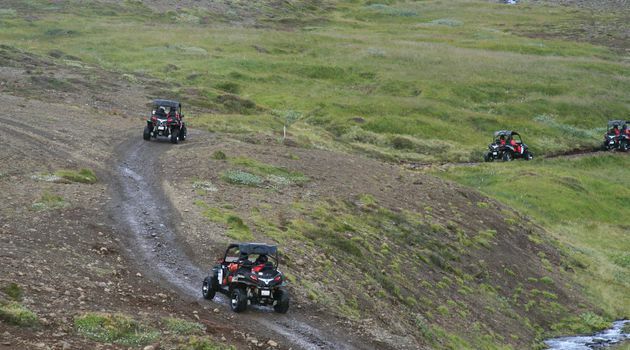 This extended guided tour is a unique way to enjoy Icelandic nature, yet starting off only 20 minutes from downtown ReykjavÃik. 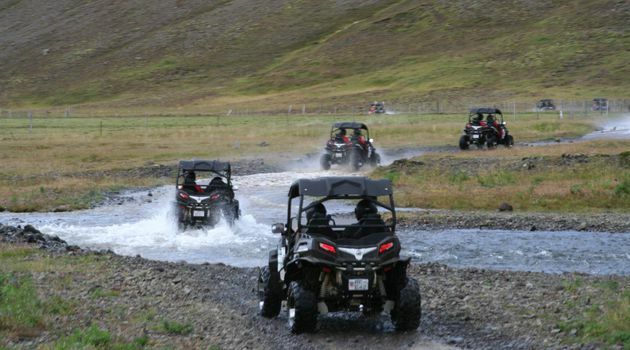 Strap into a two-seat Buggy with your partner and start the fun overcoming obstacles in the rugged landscape in the foothills of Esja mountain. 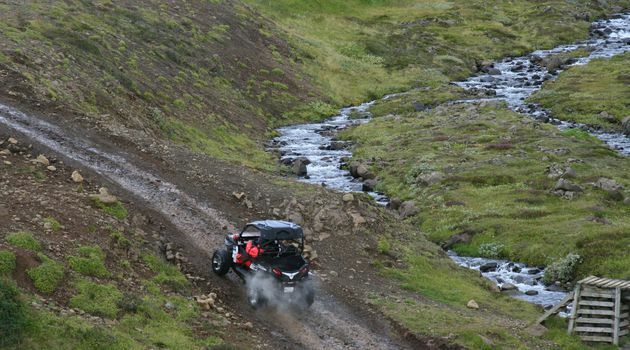 From there we continue along roads and tracks further into the mountainous landscapes east and north of the greater ReykjavÃ­k area. A treat for those who love sporty, bumpy driving thrills. 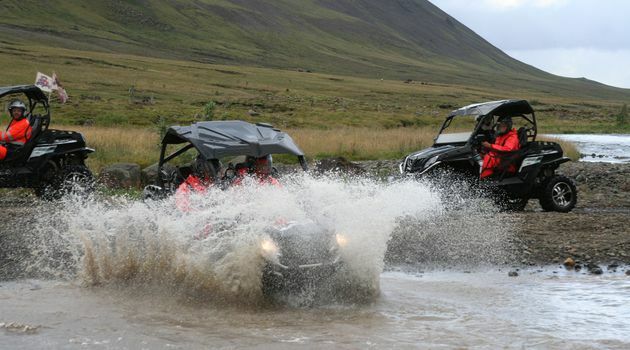 No extra charge for dust, mud, water splashes, or even snow! 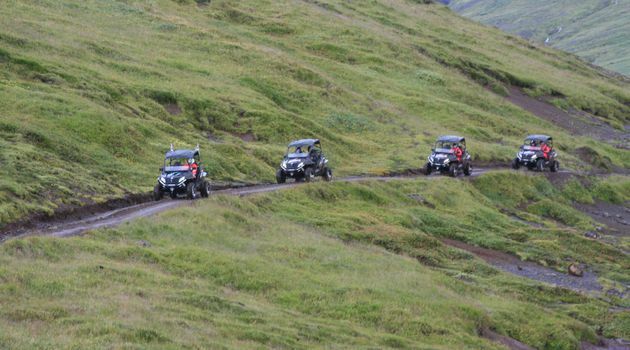 Our Buggies are equipped with 4-point safety harnesses for safety, automatic transmission for driving ease. 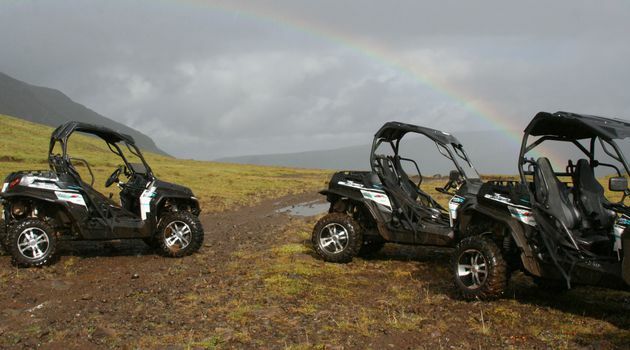 All you need is a spirit for adventure, and a valid driving license for the driver. 2 hrs. 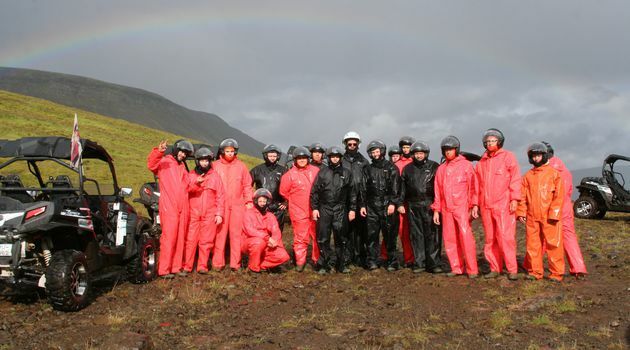 Guided Buggy tour (2 in each Buggy), Helmets, gloves, balaclavas and water resistant overalls.